Mugwort is often used for clearing psychic energy for divination. 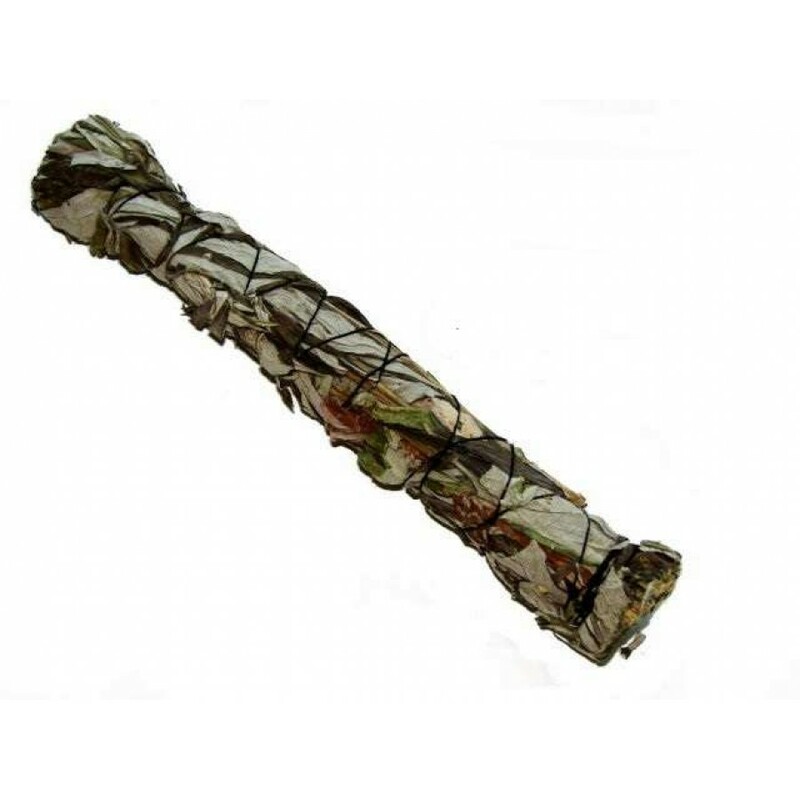 Mixed here with Black Sage, it makes this a strong smudge stick for dispelling negative energy. Mugwort is considered a sacred herb of Artemis, the Greek goddess of the moon, the hunt, and chastity. Because of this the plant is also associated with the Moon and young women. 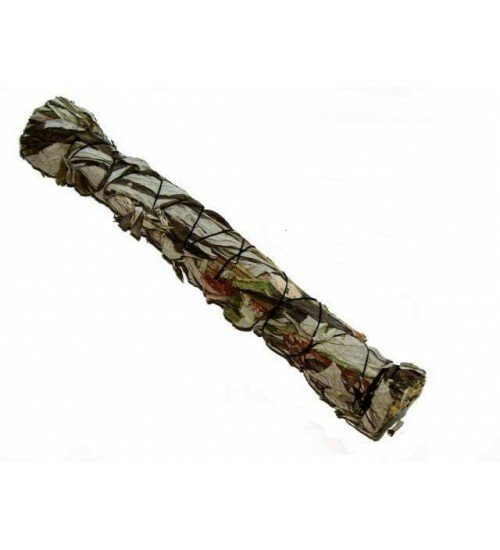 So when you want to cleanse the atmosphere of your space and need something super-heavy-duty, beyond normal white sage smudging, Mugwort is perfect. Black Sage, a variety of sage known as Salvia mellifera, is the most common sage in California and can reach up to 6 feet in height. 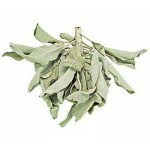 It is used to encourage dreams and visions and can be used for protection during astral travel or divination. Clean your house, declutter and then light the smudge stick and waft it about, as if cleansing the air. It is instantly effective. Mugwort is associated with psychic powers in general, and is often burned before crystal ball gazing and other forms of divination, and used for astral projection. Mugwort Smudge is also used for protection, by hanging the plant over doorways either in whole branches or crushing the leaves and flowers to put in a sachet, often along with other herbs. 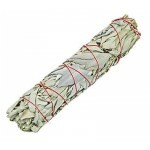 Mugwort Smudge Bundles can also be used to repel insects by hanging the plant around the home. Place sachets of mugwort leaves in closets or bureau drawers to keeps moths away from your clothes. 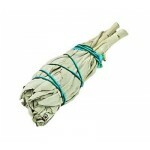 This bundle of dried Mugwort mixed with Black Sage is wild-crafted and hand tied with string into these smudge sticks. It has a wonderful sweet herbal smell, and can be burned for many magical purposes. Size is approximately 3 inches long and 1 inch wide. To use, light one end of the herb stick and blow it out to produce fragrant smoke. Waft the smoke throughout the space you want to cleanse - or over yourself to cleanse negativity and other unwanted energies. Never leave unattended and do not lay on anything that can catch fire. Item Number: RV-SM43 | Approximate Size (Inches): 1.00 wide x 1.00 deep x 3.00 high | Approximate Shipping Weight: 0.10 lbs.